"Do you guys mind if we turn around?" I made the error of all errors. I had forgotten my running shoes. 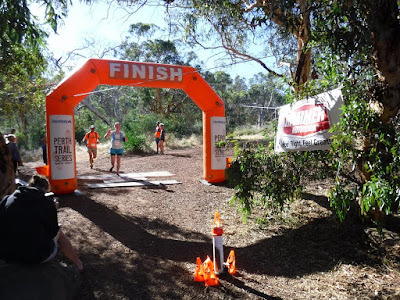 We were halfway to the fourth race of the summer Perth Trail Series when I suddenly realised that I had walked straight past them in my haste to get out of the door on time. Oh, the terror. Thankfully we had set off early and the roads were clear so we arrived with plenty of time to spare. This was the one course of the series I had not been on yet. Everyone had nice things to say about this course and I wasn't dissapointed. 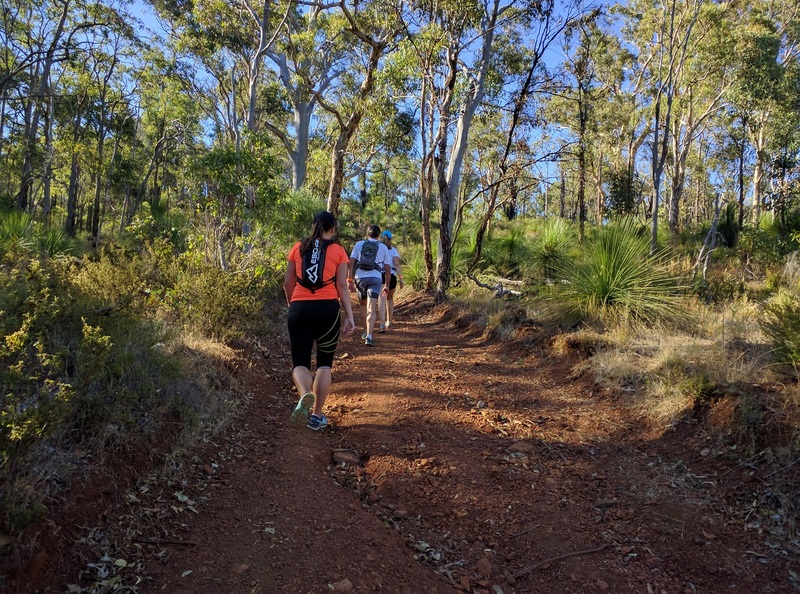 Whilst I have been to Lesmurdie Falls many times and also to Whistlepipe Gully (the run trail links both of these hikes), I have never been to the center of the park before. It was like one of those chocolates with a surprise center; as we came over the top of the first hill we were rewarded with an incredible view (sorry, no picture, too busy running). 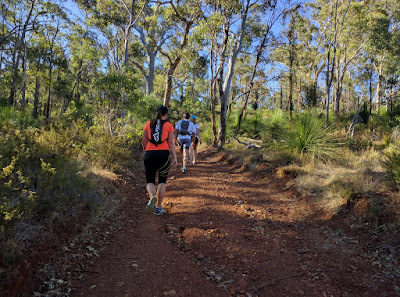 I enjoyed (walking) the plentiful hills, some fun single track and not too much pea gravel. I only had to make one turn around (repeat after me: follow the blue flagging, not the people) and made friends with a couple of other runners along the way. At the end I got to cool my hot feet in the lovely Lesmurdie Brook. It was certainly a better finish than the man who stacked it 50 meters from the finish and broke his arm.